Lesley Ronaldson was the founding Chairman of the LRTA and was given Honorary Membership in 1991 when she stood down as Chairman after 10 years of tireless effort on behalf of the Association. Les left the LRTA as a much respected organisation representing the interests and contribution of women’s tennis throughout all handicap levels. 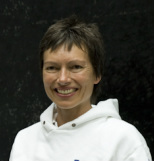 As well as being instrumental in the formation of the Association, Lesley was one of the UK’s top lady players being a British Open Singles Champion and World Doubles Champion on several occasions. Sir Clifford was made an Honorary Member in 1992. Sir Clifford, as Chief Executive, was instrumental in George Wimpey becoming the major sponsor of tennis and he was insistent that the ladies receive a share of this money. To quote Sir Clifford’s obituary in the T&RA Annual report: “Cliff was a firm supporter of the idea of Tennis being a game for all and was a powerful backer of the Ladies’ game.” Cliff won the Billy Ross-Skinner British Mixed Invitation Doubles three times. The Waterford Glass Trophies that were originally competed for annually in this tournament were donated by him. Sir Clifford died in 2009. Alan was Chairman of the Tennis and Rackets Association Tennis sub-committee in 1981 and it was he who suggested to Les Ronaldson in 1981 that a Ladies Association should be formed. Alan's impressive playing record includes: Amateur singles champion five times, Amateur doubles champion 10 times, World Open Doubles champion 1980, 1982 and 1986; undefeated in Bathurst Cup and Open internationals. Alan was made an Honorary Member in 1993 in recognition of his special connection with the LRTA and his continued support for the Ladies’ game. Viv was made an Honorary Member of the LRTA in 2002 when she retired as Secretary of the LRTA Executive Committee. 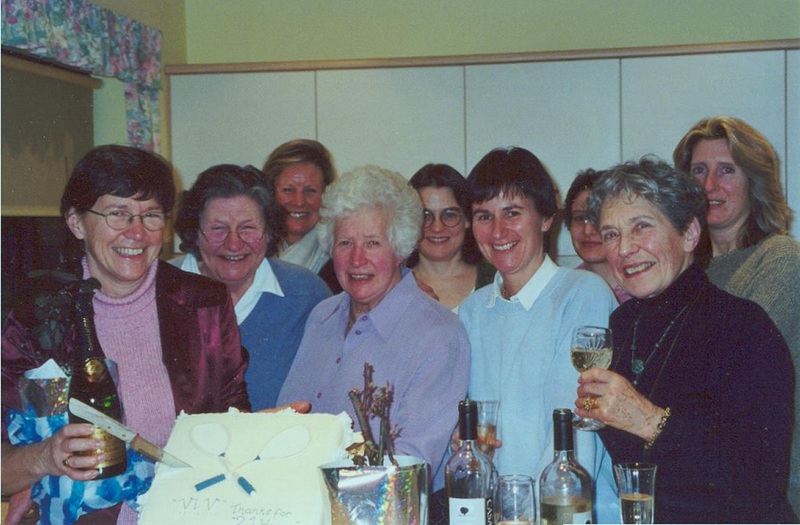 Viv had been our Secretary from the formation of the Association and her expertise and invaluable knowledge of the Tennis world was key in helping to consolidate the reputation of the LRTA and the ladies’ game in general. Sarah joined the LRTA Executive Committee in 1991 and became Chairman in 1997. She stood down as Chairman in 2004 and left the Committee completely until she was, reluctantly, co-opted again as Chairman in 2006 when Lucy Davies decided to stand down. During her times as Chairman, Sarah represented the LRTA on the T&RA Council and the T&RA Tennis Committee. Sarah swapped roles with Alex Garside in 2009 and was Treasurer under Alex's chairmanship until April 2015 when she resigned from the LRTA Executive Committee again. Sarah continues to act with Alex and Candida Nicholls as website editor. Sarah was made an Honorary member in 2004. Melvyn served on the LRTA Executive Committee from 1991 until 2004 when she was made an Honorary Member. She was the editor of our Newsletter and travelled many miles to attend tournaments and matches (despite not always playing in them herself) producing perceptive and entertaining accounts of the events. Her experience as an International Hockey player meant she was able to give knowledgeable and wise advice in Committee on many aspects of the game. Melvyn died in 2016. Penny’s record as a player is extraordinary. Penny has been an amateur throughout her tennis career. She has won at least: 13 World Championship titles, 23 British Open titles, 1 Scottish Open title, 21 French Open titles, 14 US Open titles and 4 Australian Open titles. As well as being a successful competitor, Penny has been an exceptional ambassador for her own sport and for British Sport in general. She was made an Honorary Member in 2006 and was awarded the MBE for services to Real Tennis shortly afterwards. Lucy was on the LRTA Executive committee from 1991 until 1997 and then returned to be Chairman of the Association in 2004. 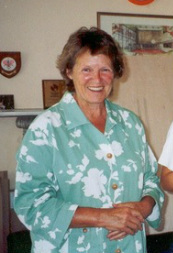 Lucy was made an Honorary Member when she stood down in 2007. Lucy organised the Mothers & Daughters most years since it began until 2015 and arranges the Tennis & Golf day. Sheila was on the LRTA Executive committee continuously since the formation of the Association until 2016 and was Chairman from 1991 to 1998. She remained on the Committee when she stood down as Chairman and provided advice and guidance on the organisation of LRTA tournaments based on her years of experience in this area. She has a phenomenal memory for detail and is invaluable in reminding us all of precedents that have been set in the ladies’ game. Sheila was made an Honorary Member in 2010 in recognition of her many years of service to the Association and the ladies’ game in general. Neil has been the Honorary Auditor of the LRTA since auditing the 1991/2 accounts early in 1992. His accountancy expertise has helped to ensure that the LRTA has remained on the "straight and narrow" financially and his professional presentation of the accounts each year has been invaluable. He was made an Honorary Member at the 30th Anniversary dinner in 2011. Alex has been on the LRTA Executive committee continuously since the formation of the Association and was Treasurer from the start until she took over as Chairman in 2009. Unbeknownst to Alex, the rest of the Executive Committee decided she should be made an Honorary Member in recognition of her years of dedicated work both in maintaining her high level of playing ability and in helping with the administration and organisation of ladies tennis. Alex was told of her award at the 30th Anniversary dinner in 2011.